Forgive me, I’ve fallen a little behind so there’ll be more frequent updates this week as I catch up. Sometimes there’s a lot to say about a place, and others not so much. So, the flight back from Perth was uneventful but it wasn’t a budget airline. I flew Virgin Australia and it was great. Entertainment, drinks and food included. It was as cheap as the budget this time, somehow, but I’m not complaining. I’ll keep this in mind for the future. Then I’m back in Melbourne! Perth was good, chilled but almost to an extent that if I’d stayed for a month or longer, I’d have gotten bored. I like Melbourne, it feels like home for me here. I’ve only been to two places so I can’t say that with certainty but so far, it fits! 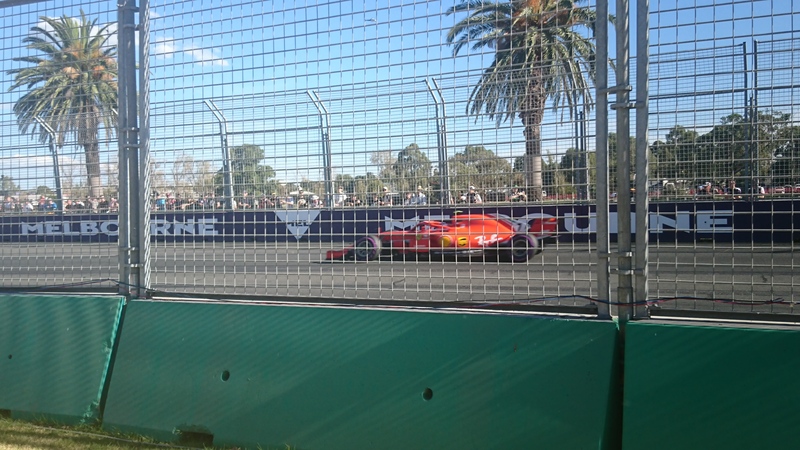 I decided to stay at Nomads in St Kilda for the next few weeks – because I had one room for the duration and it was close to the F1 and the guys back at Base. I spent a fair bit of time there seeing people and it was really nice noticing that they did miss me, or at least notice I’d gone. I don’t regret the choice though, I needed to sleep! I did make a booboo, though. I had already booked to stay at Base for the F1 weekend, but then also booked in at Nomads. That cost me a few bucks once I realised! Not much to really say about this. I spent most of it under the radar, a few drinks here and there but mostly in money saving mode. Half-assed job applications got me nowhere, obviously. The room I was in was good. Another Scottish guy and two Irish lasses, and then the other two beds were filled with randoms. Felt kinda sorry for them, given how fast we spoke at times. They must have had a lot of ‘what the hell’ moments! Before I knew it, it was F1 time, but not before I spent a couple of days beforehand walking the track before they closed it off. It was so cool to be able to walk it before it all kicked off, getting some great pictures (just a shame I couldn’t be THAT close during the racing!) and enjoying the weather. 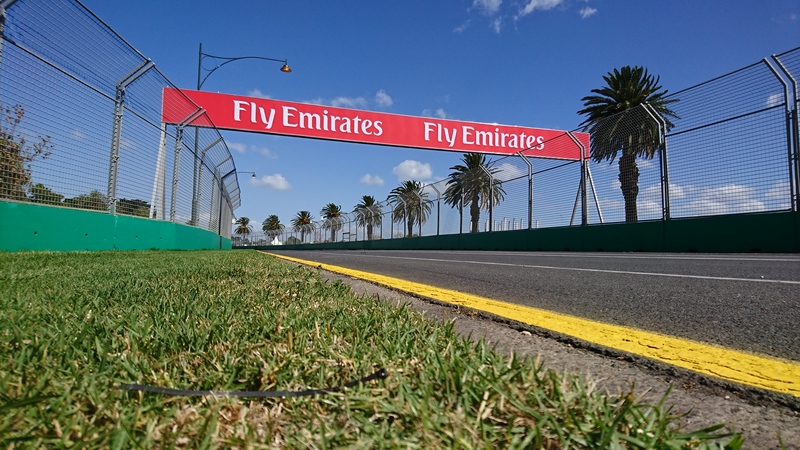 I’d walked around Albert Park before but not while the barriers and grandstands were up. The F1 itself? That was something else entirely. I’ve been to Silverstone a few times in the UK, and its great fun but here I was, on the other side of the world, on my own, at a four-day grand prix event! Excited doesn’t cover it. First off, it’s cheaper. 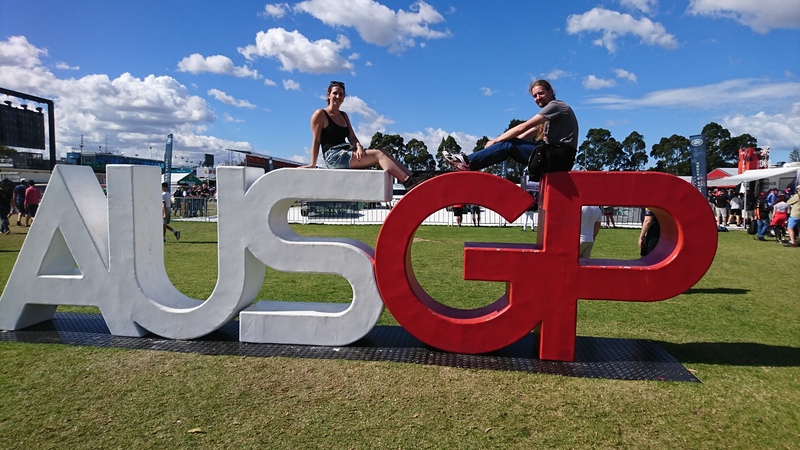 That’s unusual to say about Australia but a 4-day general admission ticket at Albert Park cost the same as a race-day general admission ticket at Silverstone and there’s more to see and do at this event. Now, I know it’s all about track funding and costs etc, but not once was there a shortage of people, even on the Thursday! I spent that day getting driver autographs and photos. I missed out (by a few meters) on a wristband for one of the big four teams (Mercedes, Ferrari, McLaren and Red Bull) but got quite a few. Even better, and a highlight of the weekend, was meeting Louise Goodman! Boom! The start of the remaining three days was spent at Melbourne Walk, where the drivers and teams enter the paddock. More of a free-for-all here, but got some good autographs, including Daniel Ricciardo, Adrian Newey, Christian Horner and Claire Williams, to name a few. Then I started hunting for spots to watch the action. Just after turn two, on the inside, is good but not much happens. After exploring most of the circuit, I settled on either turn ten and turn eleven, on the outside. Good views and potential overtaking spots, judging by the other categories. Saturday began with a downpour, soaking me through and making me hide in a pub for four hours and watch the action on TV. It dried quickly in the afternoon, though and with all the racing, including the Australian V8 Supercars, the track dried quickly too. It was so cool to see them racing here as part of their championship for the very first time. I’m hoping to see more of them in the future. A big crash for Bottas in F1’s qualifying session followed by an equally stunning and ridiculous lap by Hamilton set up a great race for the Sunday, when I would have company! A new friend’s very first F1 event. 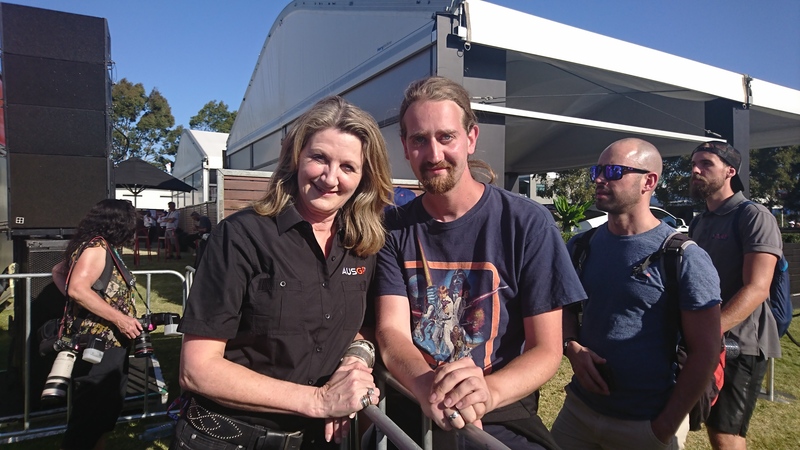 Normally I’ picked my spot and camp there all day but she was only attending for one day so I wanted to show her around, including Melbourne Walk, the displays around the track and what was on offer before we landed at turn 10 for the Supercars and F1. I won’t talk about the race, plenty of people have since then but even with little overtaking, it was great fun and I’m glad she enjoyed it! Then an early night before beginning my East Coast Adventure!